"Combining the classical approach of presenting a summary of the biology of the major groups of parasites, with a broad overview of parasite ecology and evolution, this new edition will be a wonderful resource for teachers of undergraduate parasitology courses. The well-illustrated and easy-to-read text is unrivalled at the moment and will be a great tool to turn on a new generation of young minds to the wonders of parasitic organisms. A true parasitological tour de force!" "This is an extremely well written book that does an excellent job of integrating conceptual and organismal aspects of parasitology, which is not easy. The chapter on the evolution of host-parasite interactions does a very nice job of integrating micro- and macro-evolutionary approaches to this topic. The use of boxes to contain historical information and case studies is very effective. 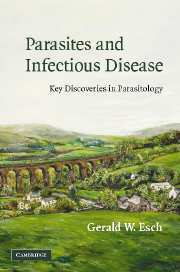 Personal accounts of the authors' own experiences studying and teaching parasitology are interesting and effective." "The authors have done a terrific job of implementing the dual approach stated in the title. 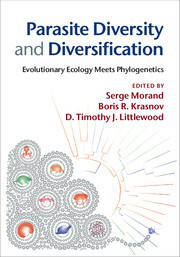 The book combines a comprehensive and balanced presentation of parasite biodiversity with an insightful treatment of the various aspects of the ecology of host/parasite interactions. Their approach is synthetic, refreshingly original and effectively blends coverage of long-standing fundamentals of parasitology with modern advances in the field. Their clever use of text boxes highlighting intriguing parasitological examples is sure to capture the imagination of students of parasitology and other fields of biology alike, serving to illustrate the relevance and importance of the discipline overall." "Interest in the ecology of infectious disease is exploding, often drawing in researchers with little background in the zoology of parasites. Parasitism gives the student both the systematic and zoological background to understand parasitology and the ecological and evolutionary context to understand why it is important to understand parasites. The authors, all extreme parasitophiles, have unmatched histories of teaching parasites to past and current generations of students. It is safe to say that Jerry Esch has read more papers about parasites than any living human. As a team, their approach is clear and scholarly, with many important updates since the first edition." "This is a wonderful and tractable text well suited for the undergraduate taking survey-type parasitology courses and those senior undergraduates enrolled in specialized courses on the ecology and evolution of parasites. It is a ready reference for researchers interested in the current state of knowledge of similar study problems as their own. There is a wealth of detail for well-selected examples, building on the rich experience of the authors as top-notch researchers and educators. Many examples are of medical or veterinarian or wildlife and conservation importance, meaning that they are particularly well suited to help deliver key problems and conceptual and empirical advances. This text is undoubtedly one that will come off the shelf again and again as students delve into the complex interactions between species of parasites and hosts and their current and past environments." "This is a well-organized integration of the diversity of ideas and methods that characterize this new field of parasite ecology. The style is easily readable, the details extraordinary, the story told from an evolutionary perspective. The first chapters lay the foundations for understanding parasite life cycles, describing the full diversity of weird and wonderful adaptations of these organisms. The focus on the organismal view is exciting, and written in the context of ideas from classic ecology. The short stories in the boxes add interesting talking points. This is a well-researched document, and even the pros will learn from this book; the literature cited sections at the chapter ends are thorough and up-to-date. The final chapters on ecology and evolution are very synthetic, and the use of examples of diverse parasite strategies to illustrate the history and current status of the field's major ideas works well. I highly recommend this book." "This is the book I would have loved to have available when I was teaching." 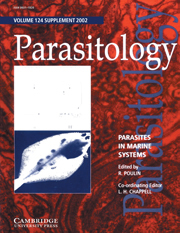 "The second edition of this classic reference book on parasitology is well worth the 13-year wait … [It] offers a superbly presented synthesis of its twin central themes - the diversity of parasites and their ecology. The interdisciplinary approach considers the host-parasite relationship at all levels, from molecular, via whole organism, to entire communities." 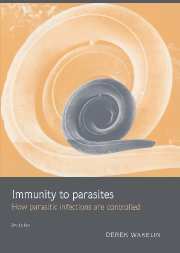 "There are surprisingly few good, up to date books, on Parasitism. This is one of the best … very readable, extremely well illustrated and keeps the reader right up to date. 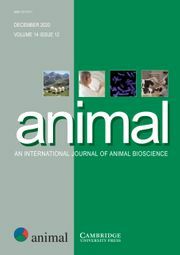 The authors are highly experienced parasitologists and have clearly invested a good deal of care and thought in the way they have presented the material, ensuring a lucid, coherent approach … the overall layout of the book is consistent, easy to navigate and well set out … The information supplied was extremely accurate and the simplification and prioritisation of detail, necessary for a text like this, did not allow the text to stray into inaccuracy. As someone, who regularly teaches undergraduate students about these parasites, the content was well judged and would be suitable for my students … I would thoroughly recommend this book." 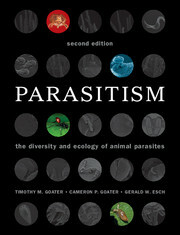 "… this new edition of Parasitism is extremely well written with an easily readable style … The text is illustrated with many new first-class drawings, photographs and micrographs … This exceptional book is thoroughly recommended."